Lausanne, Switzerland April 23, 2014 - Semi-final day is always special in sport, and it was no exception today in the AIBA Youth World Boxing Championships, as the finalists were secured for tomorrow’s gold medal matches. All of the semi-final athletes secured their minimum target in Sofia, which was to qualify for the Nanjing 2014 Youth Olympics, and the contests today decided the brightness of the medals. 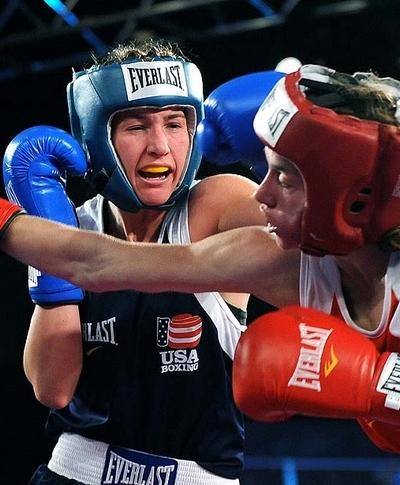 After all was said and done, 26 boxers advanced to the gold medal bouts. Elzbieta Wojcik had a close bout against US teenage star and London 2012 Olympic Champion Claressa Shields in the final of the AIBA Women's Youth World Championships in Albena last September, which set her up as a favourite for gold in Sofia. Her semi-final opponent here was Chinese Taipei's current AIBA Junior World Champion Chen Nien Chin. Wojcik was too strong for her rival, and the 18-year-old Middleweight class (75 kg) boxer showed just why she has only lost two contests in her entire career. Her punches were hard and sharp, and she deserved her victory. She goes on to fight for the gold against Australia’s Brandenburg Youth Cup winner Caitlin Parker, who eliminated US youngster Martha Fabela in her semi-final.